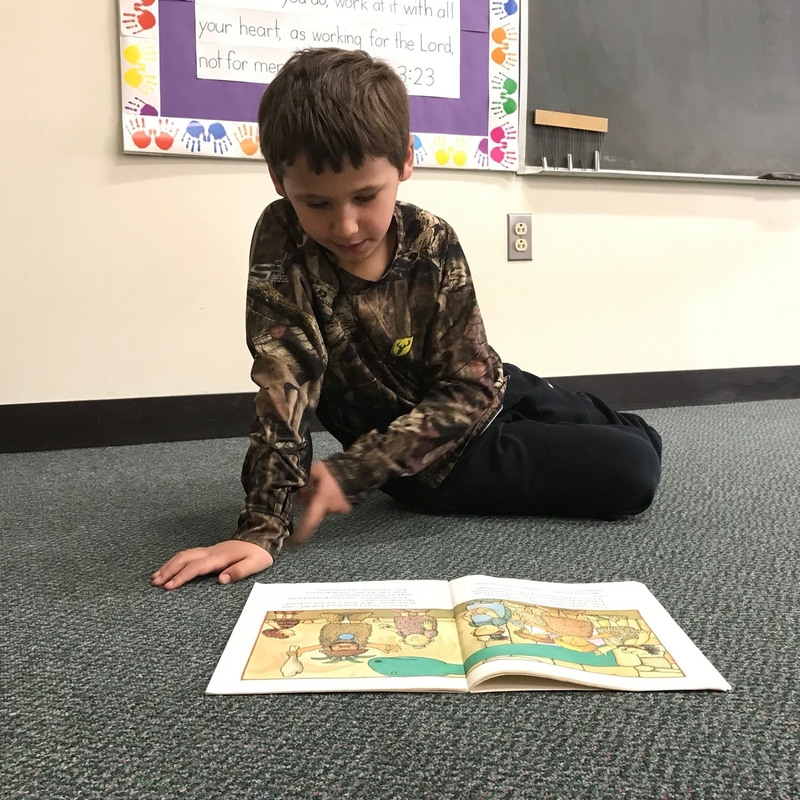 Max Boelcke, a senior at Robinson Township Christian School, clearly remembers being a little first-grader at the school, reading with his teacher, Grace Alouise. This year, he volunteered to help Alouise’s students read the same book titles he opened twelve years ago, as a part of RTCS’s volunteer tutoring opportunity for older students. Once a week, Boelcke walks into his old classroom and heads straight for the bookshelf. “The students love it when Max reads them dinosaur riddles and jokes!” Alouise said. With the help of a high school tutor, the first-graders can read aloud more challenging books. And it’s more fun, too: “My first-graders love reading to older students,” she concluded. Two RTCS students committed to tutoring for one hour three times a week, receiving one academic credit in return. Preschool teacher Heather Styer raves about the program.“As someone who is passionate about education, it’s so wonderful to see the positive impact it has on our preschool students to be mentored by an older student.” Styer delegates classroom tasks based on the tutors’ skills: one student helps with arts-and-crafts in one-on-one time, the other, a “celebrity” with the kids, plays with the more active preschoolers. “It’s a delight to see the tutors grow in their gifts,” Styer reflected. The mix of young preschoolers with dedicated, helpful older students reflects the interconnected culture of their school that Styer, also a parent of an RTCS student, loves. Robinson Township Christian School is a Pre-K-12 Christian school located in the Airport area that is college preparatory, approaches all subjects from a Christian worldview, cultivates critical thinking, encourages lives of service, and actively partners with parents since 1978.